Windows operating system is the most common in the world. Millions of personal computers and server machines are running this system. Malfunctions of a software product can paralyze entire enterprises, home PCs are no exception. OS from the beginning of its development to the most recent releases has a built-in error reporting function. Each error consists of an alphanumeric code and a brief description of the problem. All errors that have been initialized by the system and are described on the official support site. 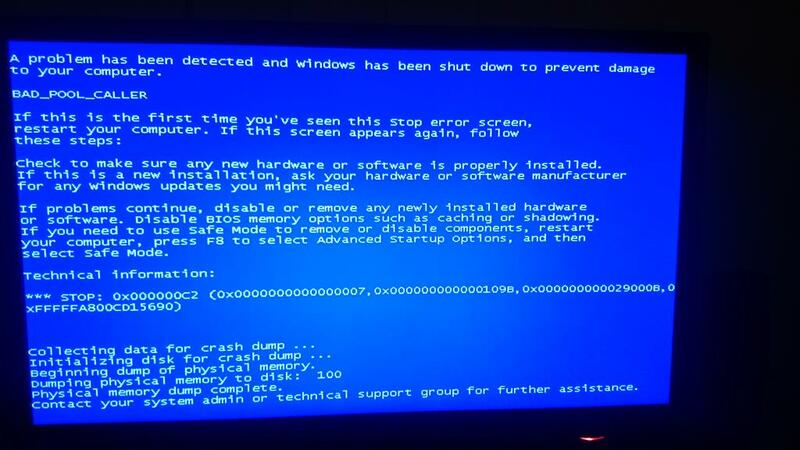 Most system errors usually result in Blue Screen of Death (BSoD). 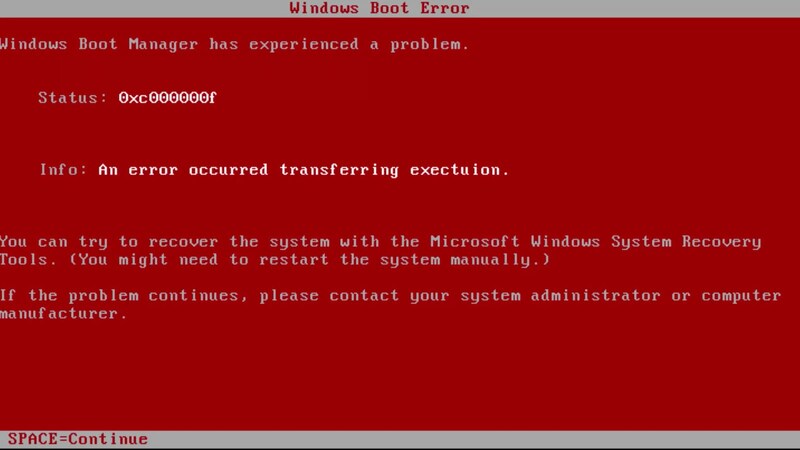 Many users, meeting with an error called “blue screen of death”, think that this is a slang expression. In fact, this is a literal translation, and the reduction is approved by Microsoft itself. One of the most common errors is the failure to initialize the hard disk of the computer, the error has the code – 0x0000007b . This is a typical stop – an error in which there is a system that terminates workflows and requires a reboot. In earlier versions of the OS, it was possible to restart the computer only manually or with the help of hot keys. More modern versions include a timer and reboot automatically. One of the common causes of a system crash is the presence of poor quality data signal link connections. Particularly affected by this are the so-called work PCs, where very often hard drives are connected and replaced. This is also true for servers. Conditions for such use are subject to the segment where it is needed. An example is computers for video surveillance. The policy of their use often involves replacing hard drives when filling out the necessary information. A side effect is the loosening of the socket connections of the cables, as a result of this contact disturbance, an error 0x0000007b is possible . Poor power to the hard drive may cause this failure. Over time, the power supply at full load changes its output characteristics. This is due to the schematics of pulse power supplies. Since at their output in the secondary circuits installed electrolytic polar capacitors. At medium load, the electrolyte may dry out. Therefore, there is a failure of power given to consumers. Not receiving the necessary power to complete the work, the hard disk of the computer can provoke a system error message. Each HDD has a working resource, declared by the manufacturer. After using the guaranteed performance possible failures. The aging of magnetic disks can provoke the appearance of bad sectors. Such sectors are poorly readable or access time increases. The kinematics of the disk is subject to wear, and, as a result, inaccurate positioning of magnetic heads over readable sectors. The above reasons for issuing a disk initialization error are hardware and are related to technical malfunctions. Now about issuing errors at the software level. A driver is software whose purpose is to coordinate the electronic components of a computer with the operating system services responsible for connecting devices. 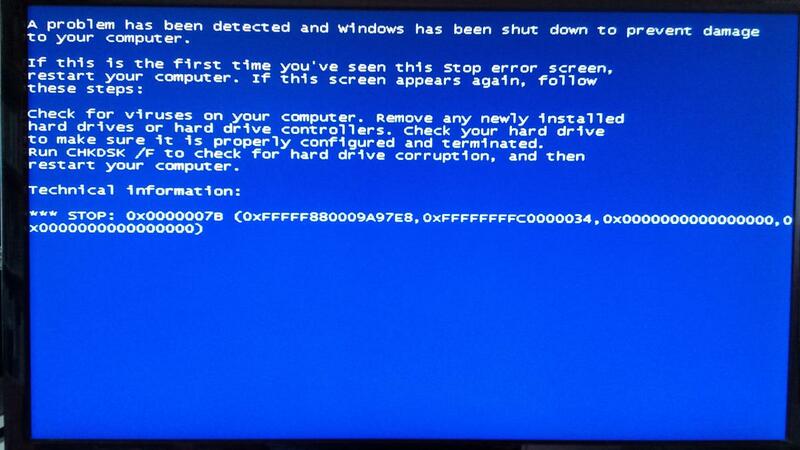 BsoD 0x0000007b error can be caused by failures in the driver code or the lack of necessary files in its composition. By default, the operating system windose contains device drivers, but to older drivers are no new devices to the system. In this case, when installing the system may require a disc from the manufacturer with the software. For example, the error 0x0000007b wind ows XP occurs is quite common, since the system no longer supports many hard drives. The boot area and hard drive layout can be damaged. This is due to incorrect user actions, but may also be a consequence of the activity of viruses. MRB contains information about disk partitions, their format and structure. Damage to the boot area causes the impossibility of “catching” the initial initialization loader. Such software damage may cause the blue screen 0x0000007b . The computer BIOS provides several modes of hard drives. The most common interface protocols are Standart IDE, AHSI, and RAID. Standart IDE protocol is outdated, but in almost all manufacturers of BIOS it is installed by default. But today, the Serial ATA interface is the most common, and its higher speed ensures operation with the AHSI protocol. When installing a SATA hard disk, but using the IDE protocol, the disk will be emulated, and this reduction in speed to the rate of the outdated Standart IDE. But the main problem is that if you install the system on the HDD in AHSI mode and then reset the BIOS settings to factory defaults, the error 0x0000007b will be initialized. Resetting the settings can occur as a result of incorrect user intervention, and from a technical failure. It doesn’t matter how the settings were reset, a boot error will be present. Connecting a hard disk as a RAID is not common on user computers. This is an array of several hard drives used in server configurations, but errors are also relevant to them. The order of presentation of the article can be guided by the same sequence as in the description of the causes of the error 0x0000007b. Poor-quality connections are a common cause of failures in electronic devices. Computer systems are no exception. The presence of connecting loops and the constant vibration of the system unit from the cooling fans can cause contact disturbances. The problem is solved by replacing the connecting loops. The reliability of fixation in the connectors is checked, special attention is paid to plastic latches-clamps. Checking the razbaltyvanie themselves connectors on the motherboard. If the defect is present, and it is not possible to cope on your own, contact the service center for replacing or soldering the connectors. The issue of power supply by the power supply unit lower than that declared by the manufacturer is decided by replacing the power supply itself. But you can solve the problem by replacing the defective items. This requires some knowledge in the field of electronics, and if there is none, resort to the help of specialists. A hard drive malfunction at the hardware level requires replacing it. Approximately determine its failure can be the sound of the unwinding of the electric motor. The sound is completely diagnosed, since the rotation speed is at least 7200 revolutions per minute. Lack of rotation or the presence of strong vibrations indicates its malfunction. Any sharp clicks of the hard drive indicate a falling magnetic head or kinematic jamming. The problem is solved only by replacement. The absence or damage to the driver files is corrected by a new installation or replacing them. 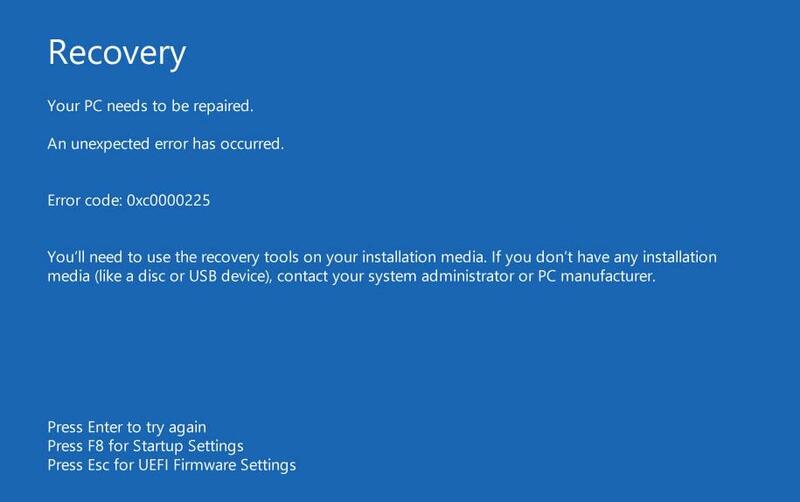 If Windows starts booting before an error is issued, it makes sense to try to restore the system files in safe mode. To do this, at the very beginning of the download, press F8. In the menu of special methods of loading, select the option “safe mode”. The system will boot only with minimal configuration. You can restore the system by correcting the standard Windows tools through the Start menu. If there are no driver files at all, install it from the manufacturer’s boot disk – this is relevant for older systems, where support for new hard drives is simply not possible due to the lack of them during the system release. Error 0x0000007b Windows 7 when loadingthe system does not always indicate the absence of a driver, since this system is supported by the manufacturer and the actual drivers are added to the updates. Recovery of the boot record can be solved in several ways. To save all the settings and user files in the previously installed system, you can try to use the recovery method. This action is provided by the installer interface. To do this, you need an installation flash drive or CD-ROM. After booting up to the window with the suggestion of installing Windows, you need to select the item “Restore the system”. Although the name of the item may differ slightly in different versions of the system, the meaning remains the same. The installer will search for previously installed operating systems and prompt you to select the one you need. After the selection, the recovery process will begin, at the end it will reboot and enter the operating mode. Another option is to check the hard disk for errors. The console is invoked from the initial window offering the installation of the operating system. This is done with the Shift and F10 keys. The chdsk command with the p and r keys will fully check the HDD and repair bad sectors. You can use a third-party application. 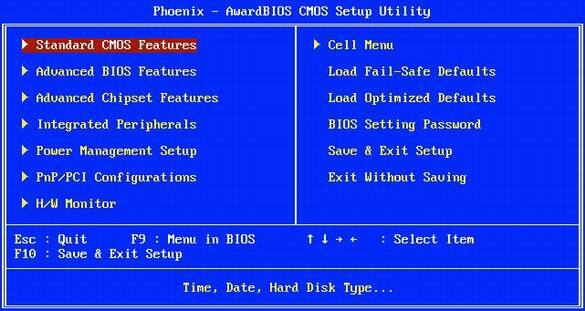 Configuring the hard disk configuration in BIOS should indicate the interface used by the computer. Depending on this, AHSI or Serial IDE mode is set. Almost all new drives use the Serial ATA interface, and AHSI mode is the most preferred. This mode ensures the speed of the hard disk. Different motherboard manufacturers have different BIOS login keys. This information can be found in the manual for the motherboard or on the manufacturer’s website. Error stop 0x0000007b Windows 7 when loading is often fixed by installing the correct configuration.